These outdoor fixtures are found opposite the Charing Cross Railway Station in London, U.K. Identical fixtures may be found in Leidsplein Square in Amsterdam. These pictures were submitted by an independent contributor. 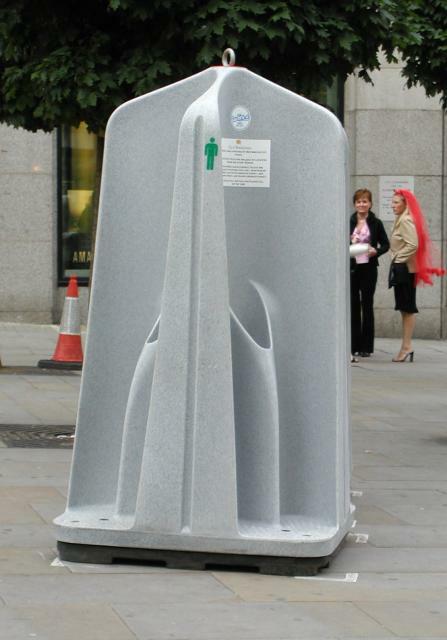 He writes: "In recent months, London's Westminster City Council has been providing portable outdoor urinals in various popular locations around the centre of London - e.g., Soho, near clubs and pubs. This is to act as a deterrent to people relieving themselves in doorways or against a wall late at night when the pubs and clubs close. 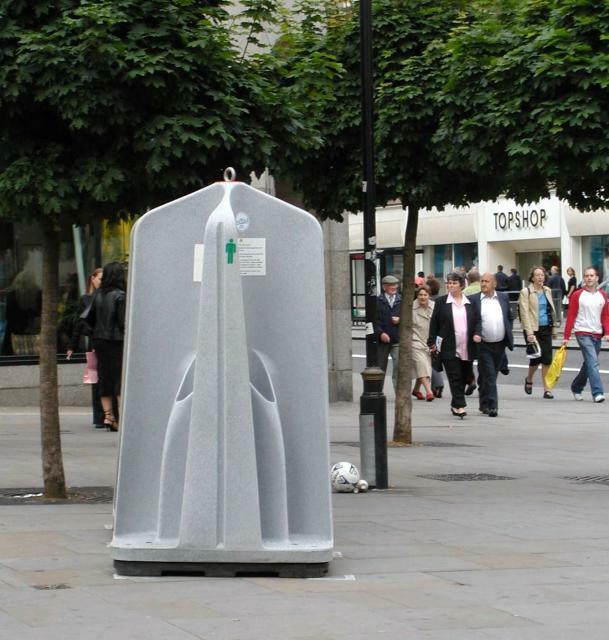 The urinals are removed during the daytime for emptying and cleaning and are brought back again late afternoon."